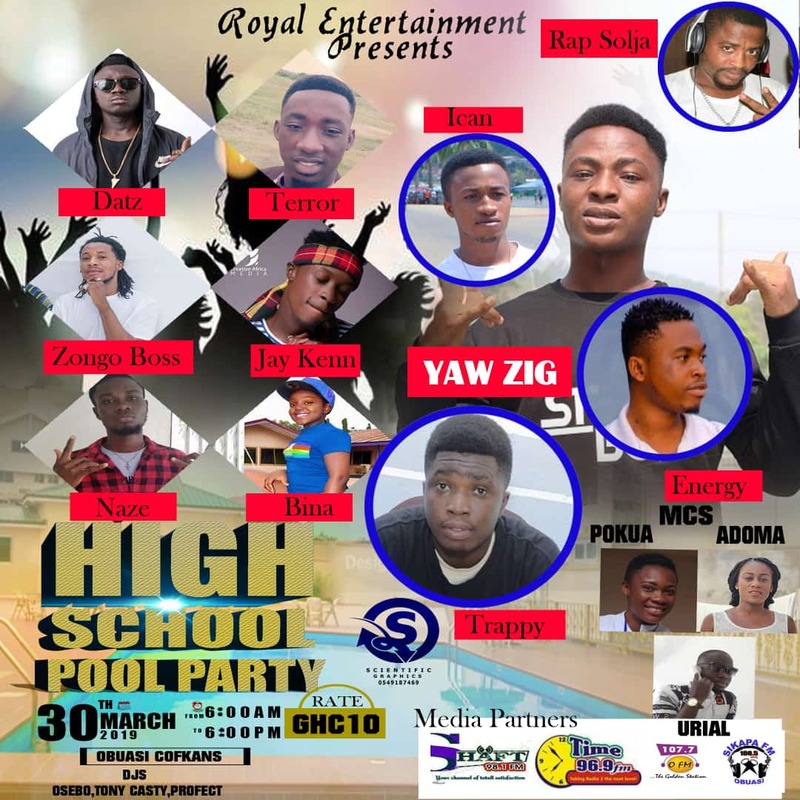 Home / News News / 2019 Cofkans High School Pool Party. 2019 Cofkans High School Pool Party. As the days are approaching, so we keep making happy moves. 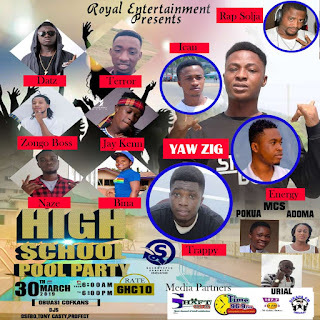 2019 High School Pool Party is happening on the 30th of March at Obuasi-Cofkans hotel with the likes of Media Partners (shaft fm, Time fm, O.fm and sikapa fm), Disc Jonkeys(Osebo, Tony, Casty n Profect), Artists(Ican,Yaw Zig,Datz,Zongo boss,Trappy,Energy,Naze,Terror n Bina) and Mc's(Urial,Pokua n Adoma). Contact 0549187469 or visit any fm station in Obuasi for a cool price of !0gh.Hurraaaaaaay!!!!!!!!!!!!!! !